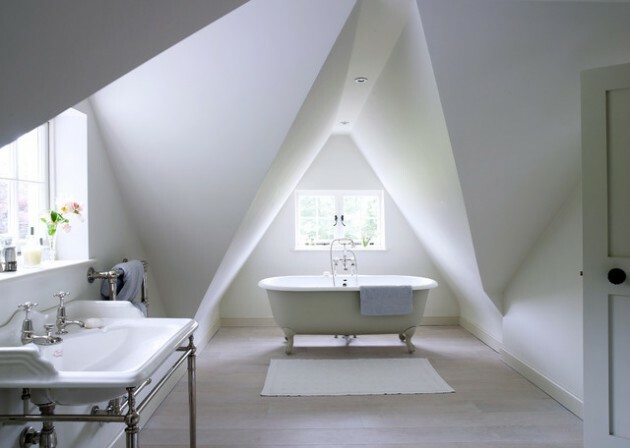 The attics usually always come with a some flaws, but still offer a lot of advantages, and they certainly give big comfort. 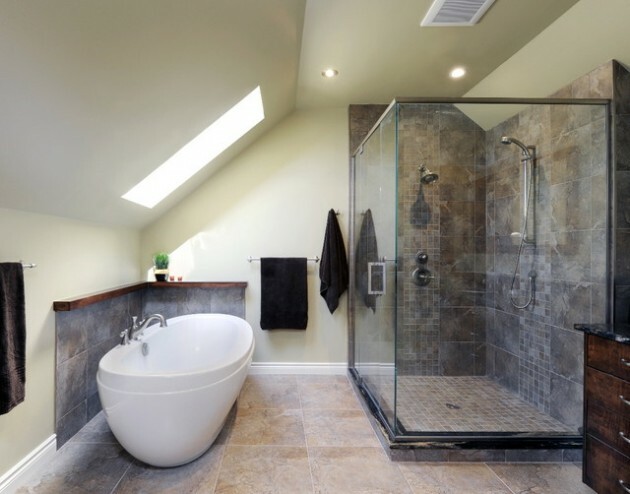 However, the a lot people reject the idea of a lowered roof overhead and inconvenience when decorating rooms, ie, the whole interior of the apartment. 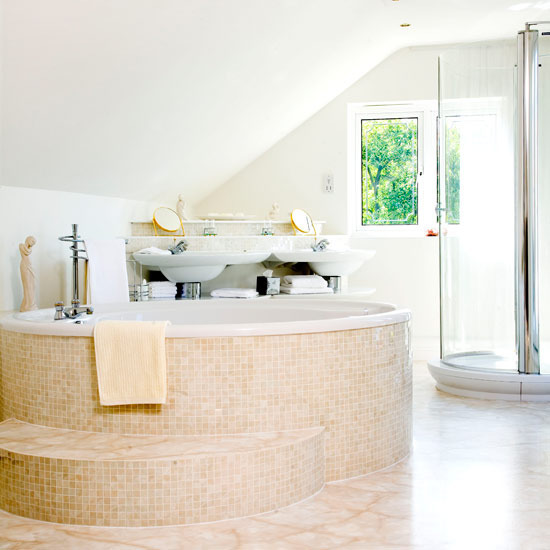 The bathroom is an oasis of peace and purity of each home. 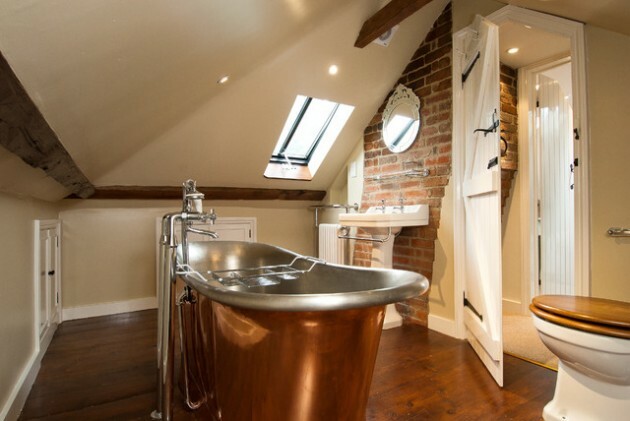 The specificity of the attic is reflected in the room. 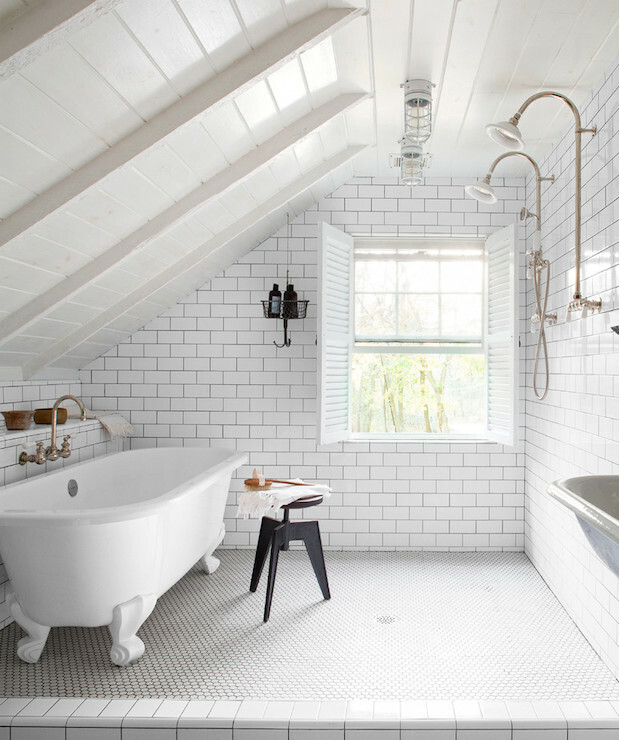 It is necessary to fit every inch of the scheduled area, so that the bathroom will have everything, and it would not be crowded. 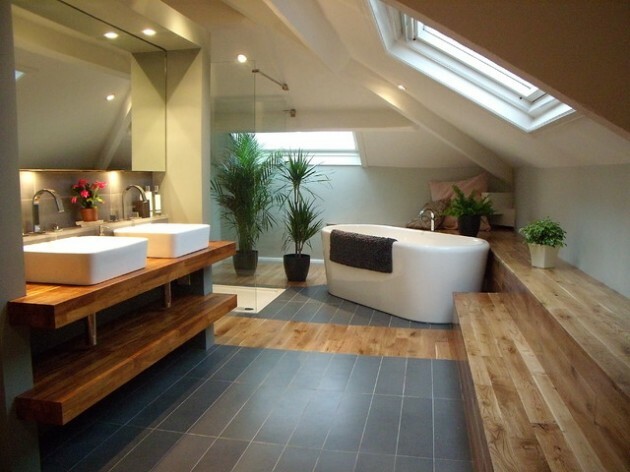 Some people have more space available, and can make a luxurious oasis. 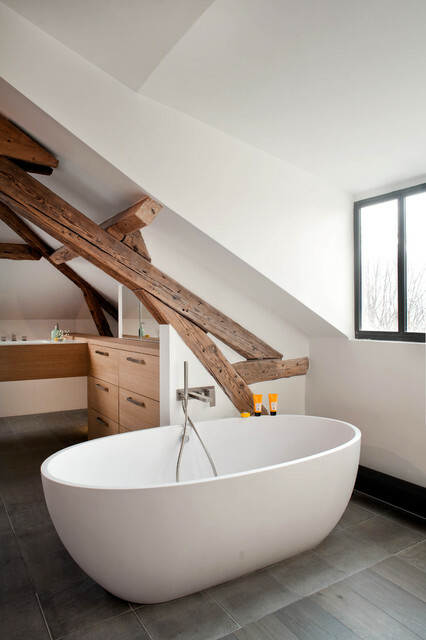 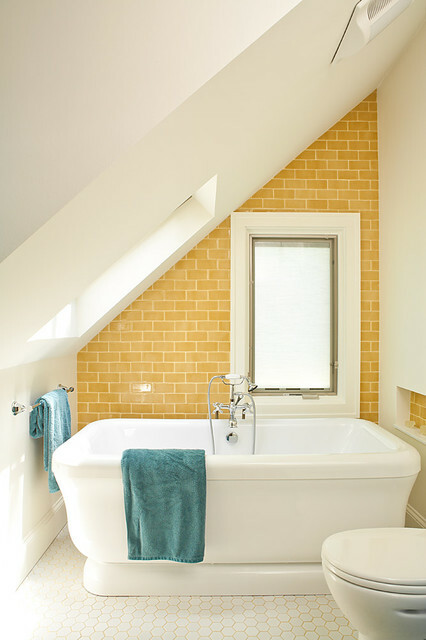 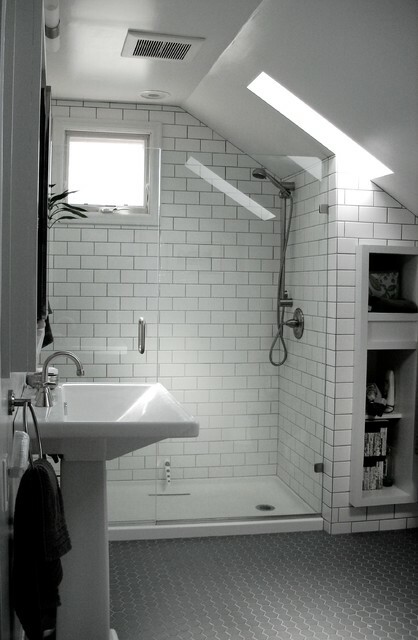 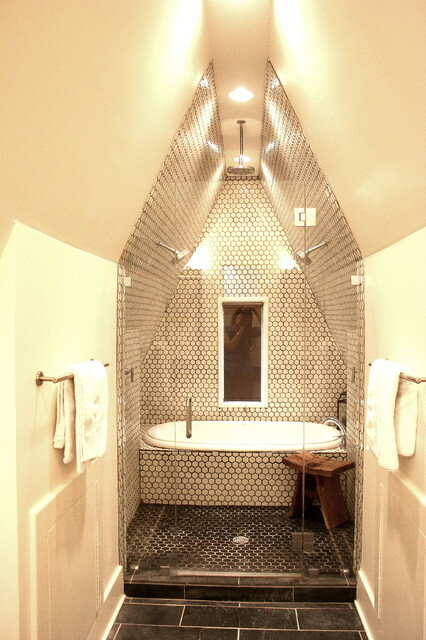 While some bathrooms are so small that you should be a real guru for the interior, to make perfect attic bathroom. 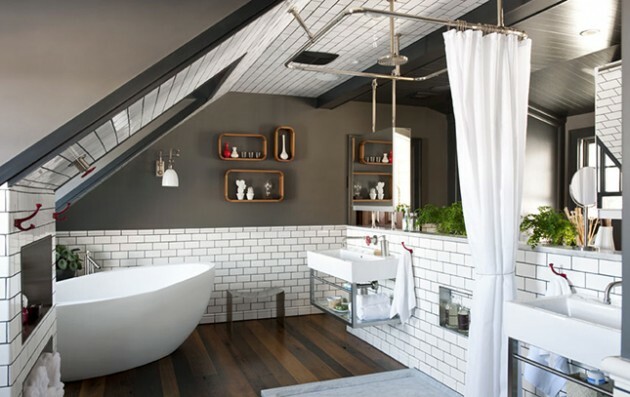 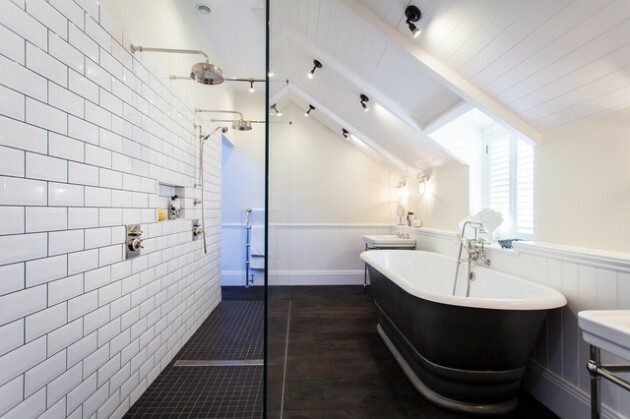 Whether you know something about it or not, here are some of the ideas for designing beautiful and functional bathroom in the attic. 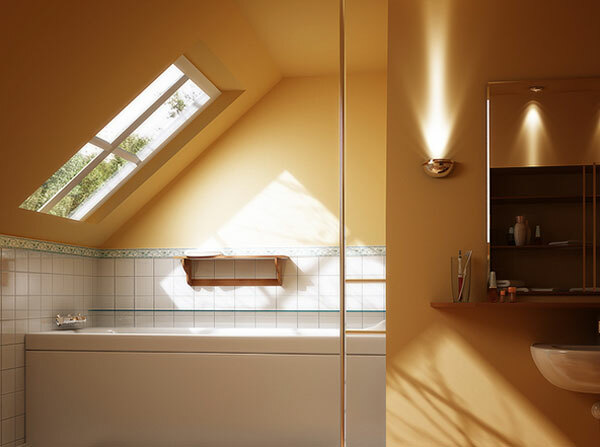 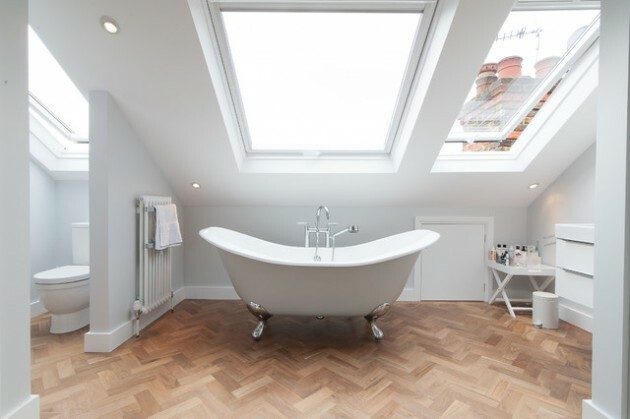 If you have any doubts about whether to put a bathroom in the attic, we found a few pictures that will surely help you to prevail your opinion in a positive way.